Final Shot - Baltimore Orioles photos, Cal Ripken Jr., Jim Palmer, Brooks Robinson, Milt Pappas, Earl Weaver, Etc..
Manny Alexander -- -Unscanned slide, email the photo number to "Jeff@finalshot.com" and a thumbnail will be quickly provided for approval prior to photo production--Not licensed by MLB, etc. Roberto Alomar If no thumbnail appears, email the photo name to "Jeff@finalshot.com" and a thumbnail will be quickly provided for approval prior to photo production--Not licensed by MLB, etc. Brady Anderson - ----If no thumbnail appears, email the photo name to "Jeff@finalshot.com" and a thumbnail will be quickly provided for approval prior to photo production--Not licensed by MLB, etc. Harold Baines - ----If no thumbnail appears, email the photo name to "Jeff@finalshot.com" and a thumbnail will be quickly provided for approval prior to photo production--Not licensed by MLB, etc. 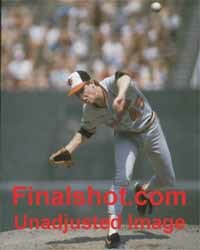 Frank Baker If no thumbnail appears, email the photo name to "Jeff@finalshot.com" and a thumbnail will be quickly provided for approval prior to photo production--Not licensed by MLB, etc. Jeff Ballard - ----If no thumbnail appears, email the photo name to "Jeff@finalshot.com" and a thumbnail will be quickly provided for approval prior to photo production--Not licensed by MLB, etc. Bret Barberie -- -Unscanned slide, email the photo number to "Jeff@finalshot.com" and a thumbnail will be quickly provided for approval prior to photo production--Not licensed by MLB, etc. Tony Batista -- -Unscanned slide, email the photo number to "Jeff@finalshot.com" and a thumbnail will be quickly provided for approval prior to photo production--Not licensed by MLB, etc. Don Baylor If no thumbnail appears, email the photo name to "Jeff@finalshot.com" and a thumbnail will be quickly provided for approval prior to photo production--Not licensed by MLB, etc. 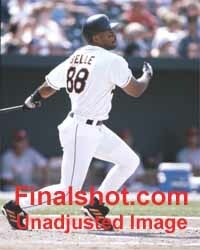 Albert Belle - ----If no thumbnail appears, email the photo name to "Jeff@finalshot.com" and a thumbnail will be quickly provided for approval prior to photo production--Not licensed by MLB, etc. Eric Belle - ----If no thumbnail appears, email the photo name to "Jeff@finalshot.com" and a thumbnail will be quickly provided for approval prior to photo production--Not licensed by MLB, etc. Juan Bell -- -Unscanned slide, email the photo number to "Jeff@finalshot.com" and a thumbnail will be quickly provided for approval prior to photo production--Not licensed by MLB, etc. 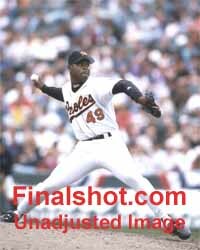 Armando Benitez - ----If no thumbnail appears, email the photo name to "Jeff@finalshot.com" and a thumbnail will be quickly provided for approval prior to photo production--Not licensed by MLB, etc. Geronimo Berroa -- -Unscanned slide, email the photo number to "Jeff@finalshot.com" and a thumbnail will be quickly provided for approval prior to photo production--Not licensed by MLB, etc.